Two-man indie developer Muro Studios has announced that Shadow Bug will arrive on Nintendo Switch on 30th March. In the game you control the overpowered ninja hero Shadow Bug, saving your home forest from the evil factory by slicing monsters to pieces. The game takes you on an adventure through a variety of attractive, twisted landscapes, placing an emphasis on action and speedrunning as you slash your way through. 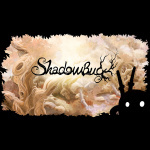 Shadow Bug revolves around a movement mechanic that sees you attacking the enemies around you to dash forwards, theoretically creating some interesting ways to whizz around each level. - 36 hand crafted levels filled with action, exploration and puzzles. - Unique core mechanic: move by attacking enemies. - Mesmerising art with picturesque parallax backgrounds and mystical silhouettes. - 6 memorable boss fights. The game is set to launch in North America and Europe for $8.99 / €8.99. Is this one going on your wishlist? Let us know what you think about the game in the comments below. @RyanCraddock We have a GBP? Looks pretty fun, when my backlog clears a little i'll look into this one. I dig the art style. I'll keep this under my radar. @RyanCraddock Thanks I'll keep an eye out ! Its a really fun game, the developer gave it to me to review, and all I can say is so far its really fun, it supports touch screen controls or the joy con which the right one is used like a wiimote, I have only played to the first boss, but it is great fun, I highly reccomend the game, and it looks like there will be alot of replay value with going.back to try to beat your own records. @Yasaal so the original super mario bros didn’t even have 36 levels, and this the levels for this game are probably a bit larger. The price makes this a day 1 purchase for me. Those backgrounds look great! Those foregrounds look... like every other game that gets released these days. Seriously, am I the only person who thinks the whole "edgy shadowy black foregrounds art style" thing has been overdone into oblivion??? @kurtasbestos No, you're not the only one. It can look good at times, but there's definitely too much of the moody, silhouetted aesthetic on the market right now. The "Ninja attacking enemies to dash through the level" thing is straight out of Shinobi for the PS2, so it's use here is not wholly original. I wouldn't be surprised if that's where the got the idea. Unless this game gets glowing reviews across the board, I'll skip it and stick with the inspiration. @kurtasbestos If you've played one or two of them, it does get a little much, yes. Played a ton of one that was a bit repetitive to start, so I am a little disappointed when a promising game relies on the style too heavily. It works well for machinery stuff like this, and it does starkly highlight the interactive bits in the level for clarity, so there are positives. It's always worth noting that the scope of the project widens considerably if all those graphics need to be completed and then this project is either not started, not completed, or takes longer, or costs more. So, there's that. @Ron22 Better go back to Sonic Adventure, and skip Shinobi, right? You could argue that it's just as similar and had that particular mechanic first, right? @Yasaal and back then, mario prob cost $40, with inflation today that’s probably over $100. But $7.99 is too much for probably 5-8 hours of enjoyment. Am I the only one hearing a Zelda theme remix at the beginning?